The story picks up where it left off with the Union fighting a war on two fronts and a quieter war within. In Dagoska, the cripple questioner Sand dan Glokta is sent as the new Superior after the previous one disappears. His objective? Find out what happened, and keep Dagoska out of Gurkish hands. Glokta is only too happy to do this as years ago the Gurkish Empire tortured him and he has no intention of repeating the experience. Win or lose, it doesn’t mater, all he knows is they will never take him alive again. In Angland the Union faces Bethod, the new ‘crowned’ king of the north. Marshal Burr is given the command and with his aide, Collem West, they need to stop the northmen. This is harder as it sounds – the dandy Ladisla, who is also the crown price of the Union, wants glory and, if given his way, West might not make it home. They meet some northmen who are not under the sway of Bethod, northmen who know the area and Bethod better than the Union. Northmen who once fought with Logen Ninefingers the most feared and hated man in the north. I enjoyed ever second of this book. It keeps the pace and complexity we have come to expect from Joe, and the characters, all of them, are some of the best drawn I have had the pleasure to read in quite some time. But the most important thing to me was that they grow and change with the story, which they do. They are people that can make mistakes and some make big ones, and then they redeem themselves in the most unexpected ways. The story and characters are gritty and unapologetic, dark and beautiful at the same time, just like life. If you are looking for something that’s just that little different, just that little more, then this might be for you. 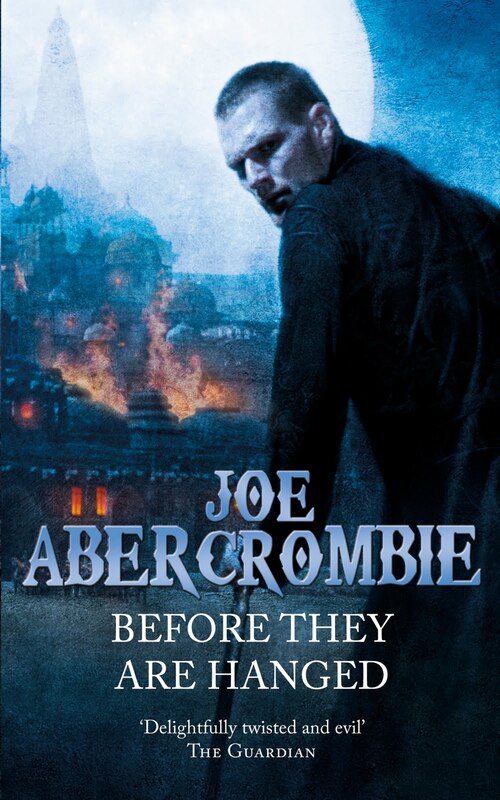 To order your copies of Before They Are Hanged, click here for Amazon US, here for Amazon UK, and here if you’re in South Africa. And don’t forget to check out Joe’s website here. P.S. I was asked a question the other day: If I could choose five people to have dinner with, alive or dead, who would it be? Well, if I could have chosen fictional people then Glokta, Logen and West would have made the cut. Though with Glokta there we probably would only have soup.